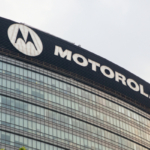 Highland Wireless: Providing In-Building Distributed Antenna Systems (DAS) > Blog > Blog > What is MOTOTRBO by Motorola? MOTOTRBO, pronounced MOTO-TURBO, is a Motorola digital radio format designed for businesses, industrial and commercial use. 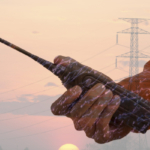 Due to its versatility, power, and advanced digital technology, it is leading the way in two-way radio functionality. This digital communications product platform is designed after, as well as compatible with, the European 2-slot DMR and relies on Time Division Multiple Access (TDMA) in order to accommodate two concurrent users. One 12.5 kHz channel can carry two concurrent and neutral dialogues, as well as individual voice and data paths equivalent to 6.25 kHz. It’s worth noting that the bandwidth of DMR surpasses the greatest UHF 6.25 kHz channel centers. 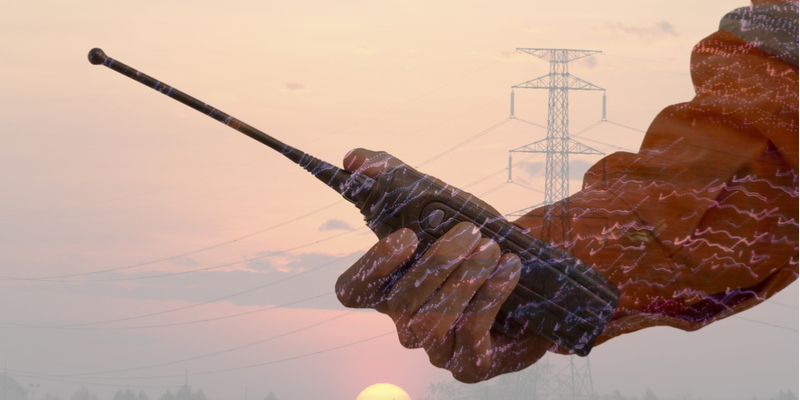 Considered the new generation of two-way radios, it offers greater possibilities for operational critical communications. According to John Jaderholm, a member of the Motorola System Solutions Team, “It’s designed for the communication needs of professional and commercial users. People in the utility, manufacturing, hospitality, healthcare, municipality, transportation, construction, and in the educational markets,” just to name a few. Over the last few years, MOTOBRO has been highly successful and gives users a greater deal of control over their communication. It allows users to operate within different talkgroups, use wide-area operation through IP connection, and offers talkpaths comparable to trunking. MOTOTRBO uses Time Division Multiple Access (TDM) to deliver remarkable voice quality to improve communications. In addition, it offers improved battery performance so that two-way radios last longer out in the field. Other perks to MOTOTRBO include integrated data applications, increased capacity, and extended battery life. As a result, businesses are able to reduce operating costs and improve their bottom line. At the same time, employees can work more productively and maintain a more reliable and seamless form of communication. All of which also helps to improve the bottom line of your business. What is MOTOTRBO Used For? 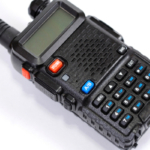 MOTOTRBO is used for portable radios, mobile radios, repeaters, controllers, and data applications. Essentially, it is customizable communication solution that can be adjusted to fit a variety of needs for many different industries. It can meet current needs, as well as adapt to meet future needs as your business grows and changes over time. Integrated GPS module that allows you to locate all employees, as well as your fleet of vehicles at any time. This level of oversight offers managers a chance to improve productivity considerably. Send and receive text messages from radios, as well as from computers, to enable communication even when verbal communication is not a practical option. Greater range of data thanks to MOTOTRBO’s application developer program – this includes things like work ticket management, dispatch capability, system management, man-down applications and telephony. Motorola and MOTOTRBO offer a “total solution you can count on that will grow right along with your business,” says Jaderholm. Highland Wireless is a proud and certified supplier of Motorola radios. 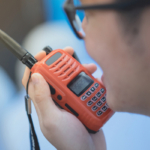 From finding the right radios for your team to offering affordable radio rentals, we are here to assist with all of your needs.